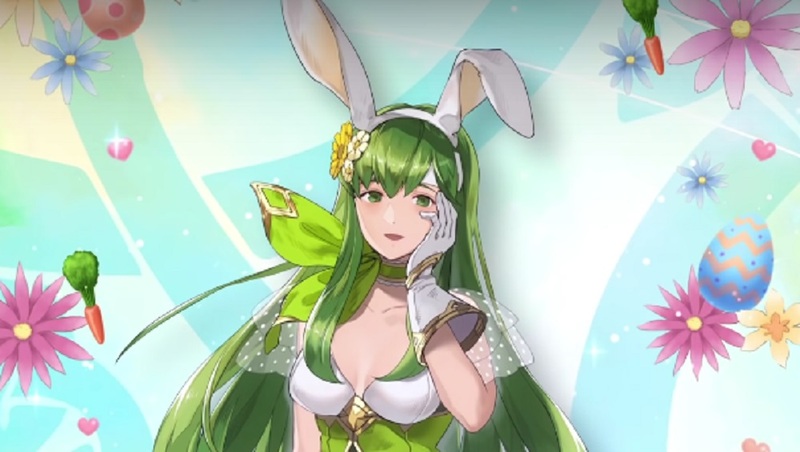 Nintendo has released a cute new trailer showcasing new "Regal Rabbits" content for their popular mobile-battler Fire Emblem Heroes. This Easter-themed update is expected to launch for the Free-to-Play fantasy title early tomorrow morning. Joining the game's roster - and sporting adorable bunny gear - will be Shadows of Valentia's Palla, The Sacred Stones' mercenary Marisa, as well as Fire Emblem Heroes' own Bruno and Veronica. As standard, a new paralogue story chapter will also be released alongside these characters. You can check out a trailer featuring the bunnyfolk and their new skills below. The Regal Rabbits update is expected to go live tomorrow, March 19 at 00:00 PT / 03:00 ET / 07:00 BST. Fire Emblem Heroes is available now on iOS and Android devices.